Welcome to the website of the Greenville Fire Department. Our site contains information about our department and our members. I hope you will take the time to explore the different areas and links. Our department has the strength of 25 Firefighters along with 5 Junior Firefighters who are all dedicated to serving the community. The areas that we protect are not limited to Greenville. They also include Greenville Junction, Moosehead Junction Township, Hartford’s Point, Little Moose Township, Shirley, Beaver Cove, Lily Bay through to Kokadjo and Frenchtown. The Greenville Fire Department also is part of a Mutual Aid Agreement with area communities. Our department provides the following services: Fire Suppression, Vehicle Rescue, Hazardous Materials Mitigation, Public Education, Public Service and Emergency Medical Assistance. Greenville is a wonderful community in which we live. Our department maintains a strong partnership with the community dating back to 1913 when the department was established. We need your support and understanding of our operations. Please feel free to contact us at anytime. The Greenville Fire Department is dedicated to providing a safer community through preparedness, prevention and effective emergency mitigation. Select Greenville and complete permit application and submit. HAVE YOUR PERMIT WITH YOU DURING YOUR BURN! 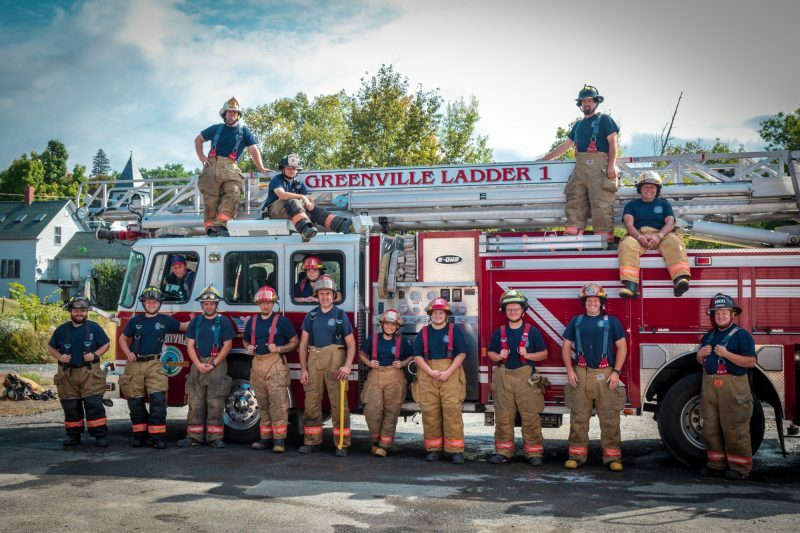 The Greenville Fire Department is looking for Students from age 14-18 to get involved in the Jr. Firefighter Program. If you or someone you know is interested applications are available at the Town Office and Greenville Fire Station.